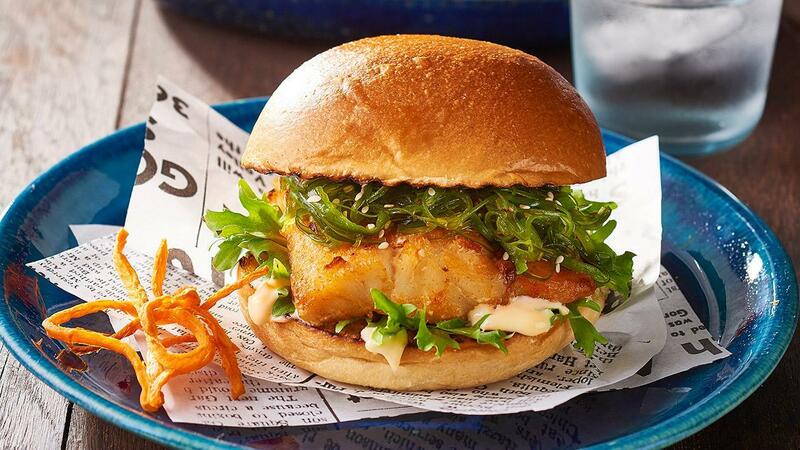 The smoky roasted white fish fillet marries beautifully with the wakame salad. With a touch of yuzu in the sauce and constructed on a light fluffy burger bun, you have the perfect LA-inspired burger. Smother the fish portions in KNORR Mixed Chilli Puree and oil, oven roast. Combine KNORR Garde d'Or Hollandaise Sauce and yuzu juice.